Quackdown! - Three words doctors should use more often: "I don't know"
Three words doctors should use more often: "I don't know"
Published: Dec. 10, 2012, 4:14 p.m., Last updated: Dec. 11, 2012, 12:34 a.m. In both clinical practice and guideline development, doctors need to get better at saying "I don't know". 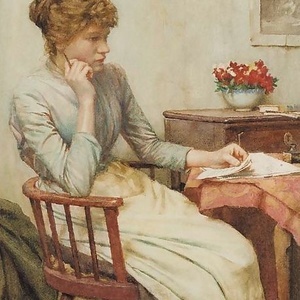 In Doubt by Walter Langley. Source: Wikigallery. Most people have symptoms from time to time. Strange twinges and rumblings, odd pains here and there, are the norm. Most of what we feel cannot be explained and is not an early warning of terrible things to come. The role of the doctor is, therefore, to diagnose and treat a limited number of diseases, to manage symptoms and to offer reassurance where no concerning pathology can be identified. I think it is okay to say “I don't know what is causing this but I don't think it is anything concerning.” You can offer symptomatic treatment if needed and explain the kinds of things you would be worried about. You can 'safety net' by telling people to come back if their symptoms develop or fail to settle. For a while, I worked with someone who, whilst an excellent doctor, rarely ended a consultation without giving a diagnosis. Some quickly racked up a long medical history. Patients loved it – what a clever doctor. And the lives of those of us who took a more honest approach were made harder. We appeared inadequate in comparison. As a profession, we need to move towards a place where we say “I don't know” more often. However, inability to admit doubt is much more harmful in doctors developing clinical guidelines. The recent adult HIV treatment guidelines from the International Antiviral Society USA are radical, recommending clinicians consider treatment regardless of the CD4 count. There are real problems with the panel's conflicts of interest, the focus of exchange of letters between myself (with Joseph Sonnabend) and the authors in JAMA. The letter we would have liked JAMA to publish in response to the authors' letter is copied below. However, that is not the focus of this blog. The IAS-USA guidelines are also an excellent example of inability to admit doubt. Joseph, now retired, was an HIV physician in New York in the first decades of the HIV epidemic. He looked after a friend of mine. It was a bad time. A lot of young adults died. When antiretroviral medications came on stream in the 1990s, there was much discussion about when best to start treatment. I have seen letters Joseph wrote at the time arguing that a randomised controlled trial, comparing outcomes in patients initiated at different CD4 counts, was needed. It is amazing that we are still waiting for a definitive answer. The SMART and Haiti CIPRA trials, which began recruitment in 2002 and 2005 respectively, provided some data. START and ANRS 12136 TEMPRANO, the first trials to randomise patients to initiation at versus above a CD4 count of 350 cells per ul, are ongoing. It is deeply unfortunate that, before the relavent trials have reported, IAS-USA have overinterpreted the observational data and come to such strong conclusions on initiation above CD4 350. Interpreting observational evidence is difficult where outcomes might be confounded by variables that are hard to measure – for example, how frail patients appear to be. I am training as an epidemiologist. I think observational studies are important. However, there are good examples of observational data proving very misleading. Whenever possible, findings should be tested in randomised controlled trials (or in other studies incorporating an element of randomisation). Why have these RCTs been so long coming? I suspect it is, in part, to do with clinicians' difficulty in saying “we don't know” and, in part, because we, in medicine, are too deferential. In the medical hierarchy, the junior is expected to defer to their senior and seniors are expected to make decisions. A doctor willing to make strong conclusions from data, like the doctor always willing to provide a diagnosis, appears clever and decisive – traits we value. But in many fields of medicine, expert opinion is a curse. Unfounded consensus makes it harder to organise the trials that will give us the conclusive answers we need; harder to persuade patients to enrol into these trials. When this expert opinion comes from individuals who benefit from their relationships with companies set to profit from the recommendations, then we have an additional problem. Sadly, this is all too common. Where doubt exists in clinical care and an RCT is possible, this must be the priority. Other evidence is not as reliable and places patients at risk. We must challenge unsupported expert opinion and the presence on guideline panels of individuals with significant conflicts of interest. We need to diagnose less and to admit the limits of our knowledge. Honesty is just as important as intelligence or decisiveness. The author is a UK trained doctor with an interest in infectious disease epidemiology. He blogs on epidemiology and population health at sickpopulations.wordpress.com. The authors point out that their guidelines  cite HPTN 052  in support of their strong (Grade A1a) recommendation to initiate antiretrovirals in people with CD4 <500 cells/ul. However, the control group in this RCT started treatment at CD4 <250 cells/ul. Therefore, the study will overestimate the benefits of initiating above 350 cells/ul. The additional detail provided  on the committee's arrangements to deal with conflicts of interest is essential. It allows readers to attempt an assessment of the extent of the bias they might introduce. We understand that, particularly in fields such as HIV medicine, it is difficult to identify senior figures who have no associations with industry. It may be that a balance must be struck between experience and independence. However, the IAS-USA threshold as currently drawn is not defensible. For example, a clinician who 12 months previously undertook industry sponsored promotional or marketing activities cannot be considered independent, particularly if there are no restrictions on such lucrative roles in the near future. If the IAS-USA panel is the most independent HIV guideline panel, that is an indictment of the field. We must demand better. 1. Yates and Sonnabend. Treatment of Human Immunodeficiency Virus in Adults. JAMA 2012; 308(15): 1522-1523. 2. Thompson et al. Treatment of Human Immunodeficiency Virus in Adults—Reply. JAMA 2012; 308(15): 1522-1523. 3. Thompson et al. Antiretroviral Treatment of Adult HIV Infection 2012. Recommendations of the International Antiviral Society–USA Panel. JAMA 2012; 308(4): 387-402. 4. The START Study website. Available at http://thestartstudy.org/index.html. Accessed September 1, 2012. 5. Cohen et al. Prevention of HIV-1 infection with early antiretroviral therapy. N Engl J Med 2011; 37 365(6): 493-505.